Nike Miler women's t-shirt features sweat-wicking fabric with zoned mesh helps keep you cool. 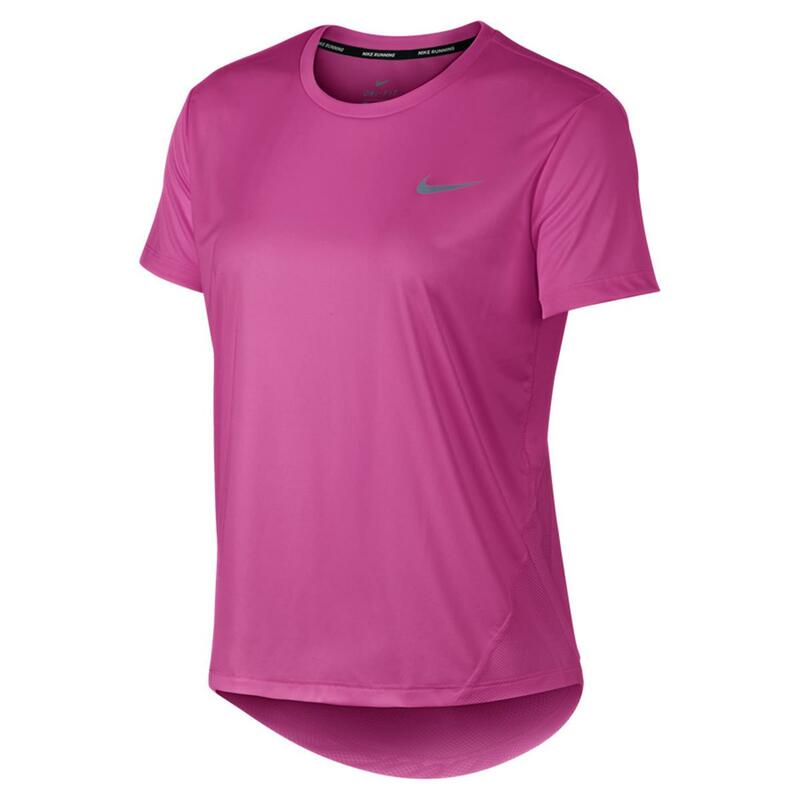 The extended back hem and dropped shoulders deliver comfortable coverage. 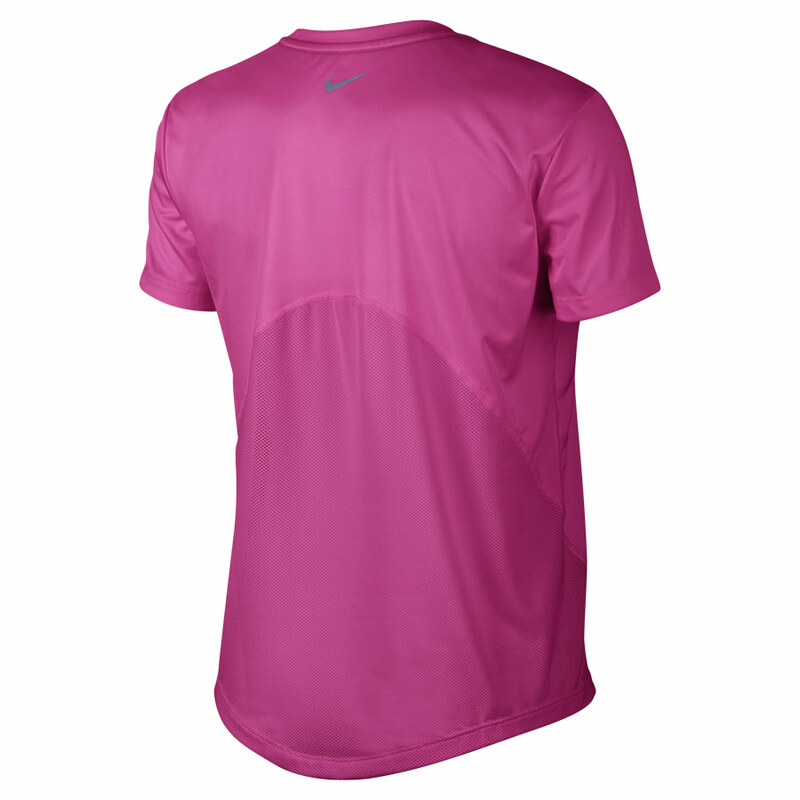 Mesh panel at the back increases breathability and comfort. 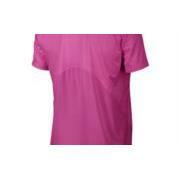 Dropped shoulder seams provide unrestricted movement. Dropped hem at the rear extends coverage.